It is top quality filters. 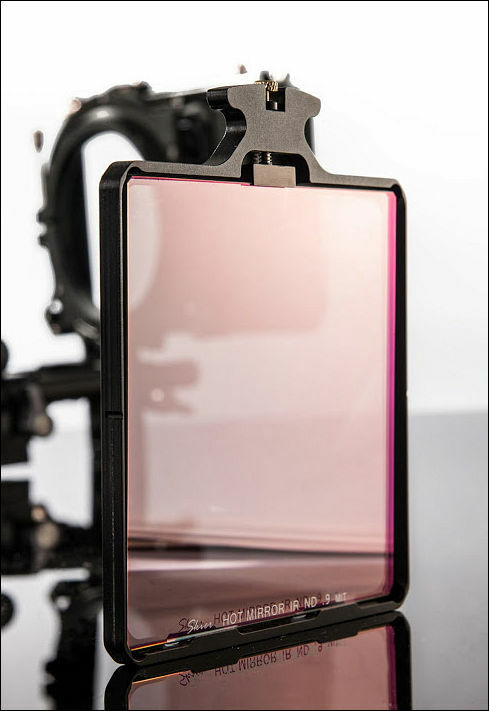 Good optical glass that does not badly affect sharpness as cheap filters do. Very consistent color among all filters. No IR contamination that can result in horrible color shifts, especially for stronger ND filters. Comes in very good padded packets. 3mm thick, so works perfectly with cheap matte boxes. Available as individual filters and 3 filters set. I just made separate topic, so users will have place for talks and reports. These look very good indeed! I just ordered them and really looking forward. I'll test them against Tiffen on BMPCC and Reds. I find it strange that they don't have higher grade than 1.2 because the IR problems really start at 1.5, I hope it is the works. With cheap filters problems start right from the start. Not ready to pull the trigger just yet. I'm also looking forward to some reports. Upset I missed the deal (by a day) actually since I could really use a good 1.2 right now. Currently trying to find good prices elsewhere. Any chance of this coming back by any chance? Filter arrived yesterday, built quality is awesome, real massive glass. I hadn't the time to test it yet but propably till end of next week, when my BMPCC arrives, I'll be able to post some examples. I hadn't the time to test it yet but propably till end of next week, when my BMPCC arrives, I'll be able to post some examples. As far as I know BMPCC is most tough camera for ND filters. Also check them using any of DSLRs you have. Had time to test yet? Any first impressions? Just got my set of filters. As said before, solid built. All test pictures were taken with my GH2, ISO 200, WB set to "sun", Olympus 14-35mm f2.0. The scene was only lit by the sun through the window - so there was some variation in brightness. Colour looks very good with the Skier filters. In comparison to the Cavision filter, Skier filters are much better. This test doesn't show much of the IR-blocking of the filters, as the sky was clouded and the light already filtered through a window (its hard to really test for IR pollution in mid winter in Germany;-). Other tests: - Combining the Skier IR1.2 (front) and Cavision 1.2 (behind) still gives the blue colour cast. 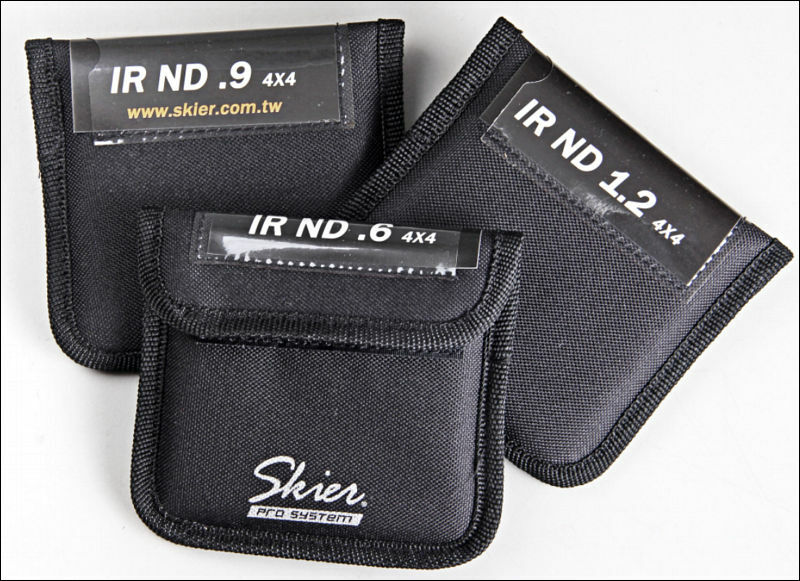 - Skier IR0.6 and IR0.9 show the same good colour rendition as the IR1.2. - Shooting out of a window (incl. sky) and direct sunlight on the filter doesn't show any flares or other unwanted artefacts. So, the glas is excellent! I still have on point to complain: The pouches of the filters are way to small. Its really hard to get the filters in and out and I can't do so without leaving my fingerprints all over the glas. The last picture shows Skier (front), Cavision (middle) and Tiffen (back) filter pouches - Tiffen's are very good, Cavision is "ok" and Skier is to small. I tried to test them with a BMPCC yesterday, but currently it's very hard to provoke enough of the effect here in Northern Germany. Was a very sunny day, but just like Psyco wrote, it's difficult to test for IR right now using the sun up here. My windows don't filter much IR out, but the sun's angle is too flat – after all it's still called winter, even if Southern Germany hat 18 degrees (plus!) on Christmas day (that was foehn, BTW, or what Americans call chinook wind). I can confirm the excellent quality of the glass and coating, on par with much more expensive stuff. Other than Psyco I can't complain about the pouches. They are tight enough to make sure the filters don't slip out accidentally, but after pushing a little bit from the bottom I can easily grab them from the sides of the top corners without leaving fingerprints. Maybe they changed the pouches? With some of my worst black artificial fibre samples, I could see obvious IR pollution with a Heliopan Vari-ND and none whatsoever with the Skier's 1.2 IRND at equal aperture. Unfortunately the effect is not strong enough to really differentiate between filters and cameras. But what's interesting was the difference in sharpness: some of the fabrics showed moiré with the Skiers and considerably less of it with the Heliopan. So, even if the Heliopan is one of the better Vari-NDs, it softens at stronger settings. Of course, if you need it there are better ways of diffusion. The Skiers leave the picture tack sharp (I used Zeiss glass). I tried again in the evening (just before partying) with the strongest Tungsten I had around (a cheap 300 Watt construction lamp), but again the effect was not strong enough to tell subtle differences. With all the daylight and energy saving stuff we have around in the studio these days, I wonder what else I can use before summer comes. I'll contact a friend who mentioned having a massive old Tungsten cinema beam still laying around, maybe it works. I would like to get these for my bmpcc also. Are these stackable? Of course, If you have MB or proper holder. any up date on these? What exact update do you want? would like to know how these work with the bmpcc sensor? as every sensor has different characteristics in regards to specific ir filters. Just wanted to chime in saying that I've been using the 1.2 on a BMCC and couldn't be happier. I've only done a bit of comparative testing, but it's solved all the problems I had with other filters I've been using. Mostly, there's no significant colour shift that bothers me. I may have to buy another...wish there was a stronger version though. I may post a comparative video when I get a chance and will post back if I do. The others inexpensive filters I purchased on deals here were nearly unusable but these are fantastic!